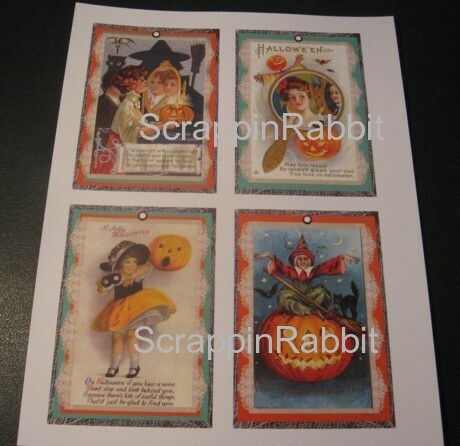 I created these digital tag templates using vintage Halloween-themed images in beautiful vibrant colors. 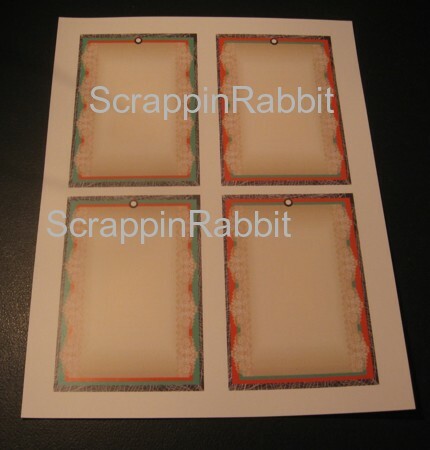 I have 2 sets of templates available for purchase. Print them out as many times as you want and use them on scrapbook layouts, in mini album, paper bag albums and greeting cards. 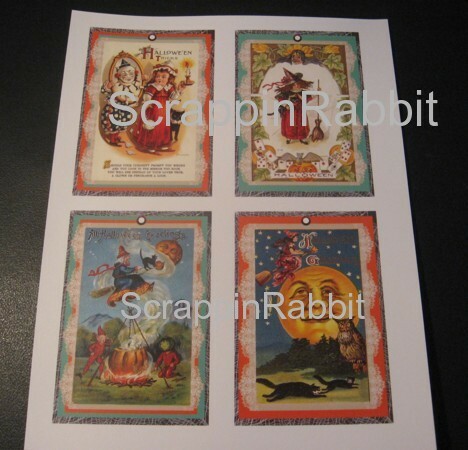 Each set contains a total of 12 different tags PLUS a sheet of journaling tags ready to print on 8-1/2" x 11" (A4) paper or cardstock (4 tags per page). Each tag measures 5 x 3 inches (12,7 x 7,6 cm). I am also including the same tags without the eyelet at the top if you prefer not to punch holes in your tags. Images in Set #1 are different from images in Set #2 - there are no duplicates. Just print the sheets you want to work with and trim them to size. 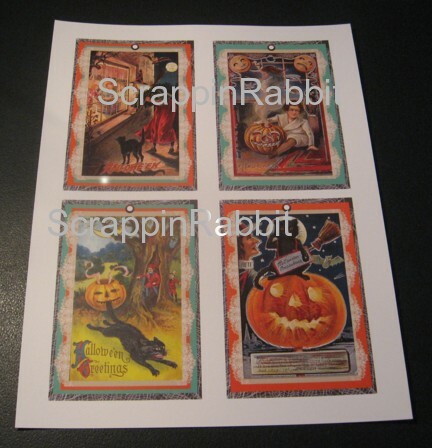 Just email me at scrappinrabbit@gmail.com and I will send you an invoice and the printables by email.